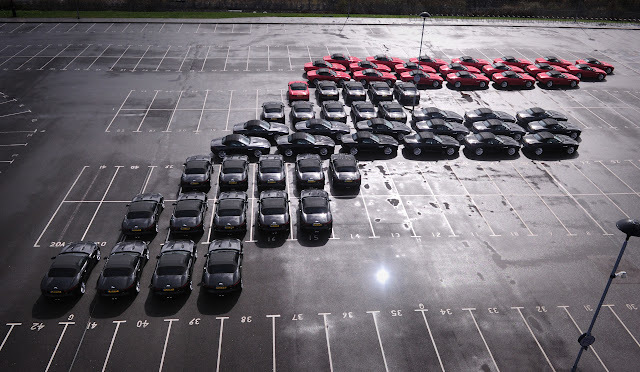 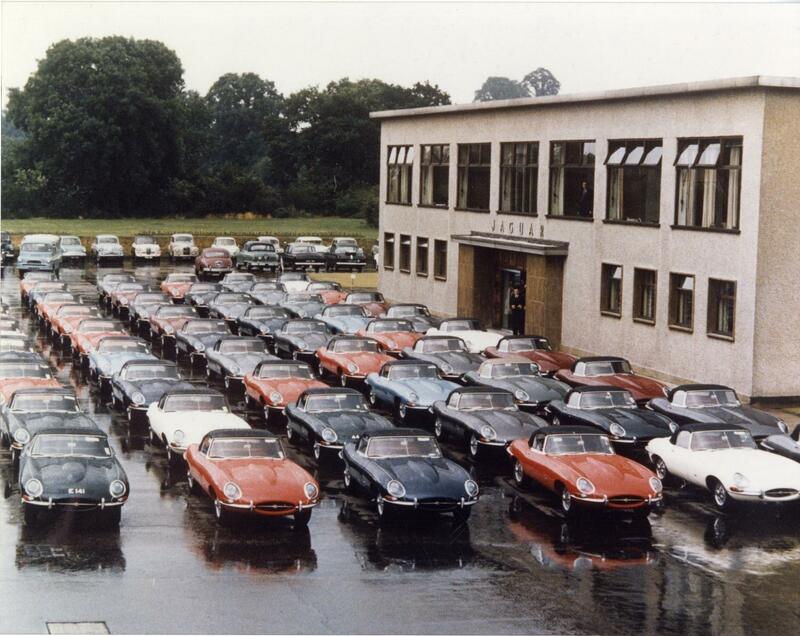 59 Jaguar F-types were handed over to 59 Jaguar UK dealerships yesterday. An E-type led the way as all 59 F-types were led in a £4,700,000, 1.5 mile procession around the Coventry ring road before being driven around the UK to the dealerships. 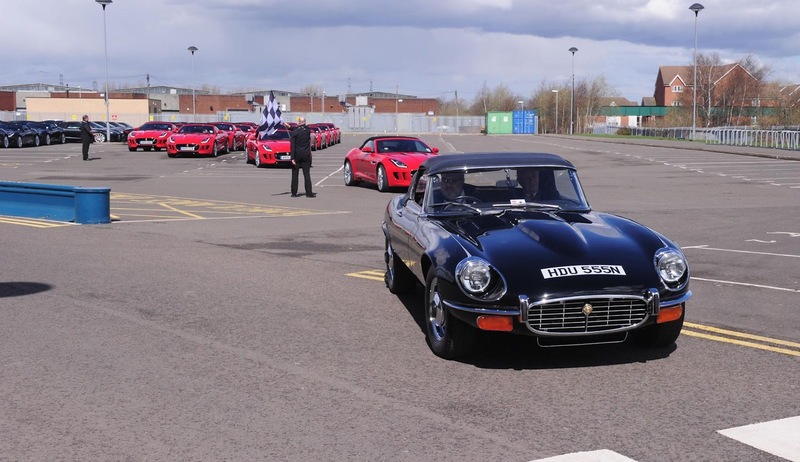 Expect to see F-types on the road from now on - and a prettier place the UK's roads will be for it. In 1961 Jaguar staged a similar event at Browns Lane in Coventry with 60 E-types.